Creative dance floors: Entertainment is given a lot of importance in Indian weddings. In 2019, we can expect hardwood or catchy marble dance floors or the ones that go well with the theme of entire decoration. We recently spotted a wedding function where a personalized message was printed on the floor during the Sangeet Ceremony. The creative floors add a lot of beauty and innovation to the existing venue decorations. It also complements well when the bride and groom dance on it. Big on Blues: With the transforming color palettes for unconventional settings and brides, it is expected to see blue shades making big in 2019 wedding fashion diary. From silky indigo gowns to powder blue lehengas, the calming color blue will make a complementary statement with silver, gold or diamond jewelry. Grooms can also coordinate and design their outfits in blue tones like sauvethree-piece suit or navy blue sherwani. 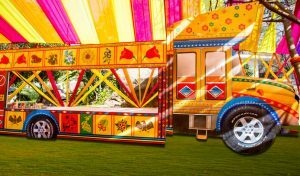 Food trucks: Indian weddings are popular for lip-smacking appetizers. The customized food affairs are growing in trend and it is mandatory to include some of the latest food trucks in the snacks section. It is also recommended to experiment dessert option by providing traditional sweets such as Kesarkulfis, GulabJamuns or RabriJalebi. Botanical centerpieces or floral ceilings: As theme based wedding party takes the majority of attention, it is best to include botanical elements and rustic wildflowers setting. They are the best additions in the present trend. It can be set up in the outdoor environment. It is suitable for greenery lovers who want an impressive décor and also want to be environmentally friendly to a certainextent. The colorful flower arrangements and hanging trellis flowing from the ceilings bring a dramatic appearance to the entire setup. The versatility of metallics: Rose gold would not go away even in 2019. If you are thinking about how to utilize, you need to consider some captivating copper or sparkling silver cutleries. A strategic combination of metallic colors combining with soft pastels would highlight the accessories display, the bar counters, the tableware, the props and also the wedding cake. Do not forget to make use of metallic nail color. Minimalistic mehndi designs: Bridal mehndi designs are changing throughout the Indian wedding scene. Chic and simpler textures are replacing complicated and overdone designs on both feet and hands. In 2019, we can start to focus on the kitschMehendi look with glittering studs, floral lace cuffs,and empty fingertips. Indian weddings have completely changed in the last few years. We can see each wedding party better than the previous one. The fat and big wedding are letting way for small and at the same time, luxury and intricate is transforming into a completely different meaning. Some of the top wedding experts have forecasted wedding trends for 2019. Simplicity: This year, simplicity would play an important part in weddings. Most couples would focus on small décor elements and aim to add beauty to small things. 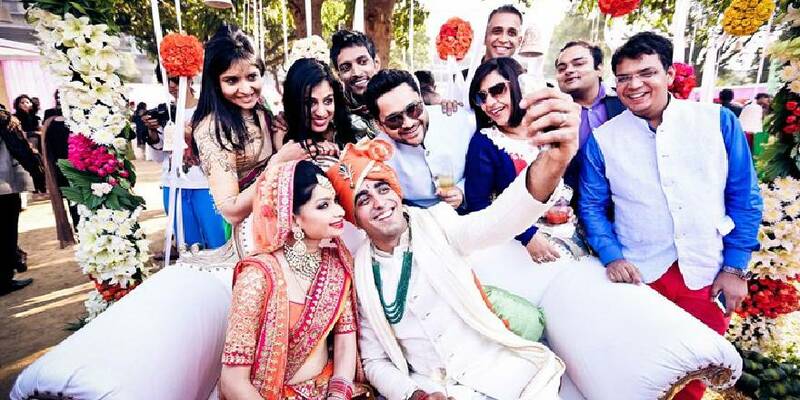 Westernization: It is possible to see of a lot of western influence in Indian weddings. 2019 would bring in more rustic and green themes. The scenario would be ruled by the Earthly tones along with tints and hues of pastel shades. People would ensure to make small elements as eye catchy elements. The stylish choices and neutral colors would remain popular throughout the year. Offbeat color mixtures: Brides are familiarizing to offbeat and unique color combinations for decorating their costumes and events or both. To achieve a fresher look, it is best to focus on color combinations like purple with coral or citrus orange and mustard yellow with teal. Upscale or luxurious destinations: High end or wealthy families prefer destinations weddings than the usual setups. If you have plans for destination weddings, it should be well planned and organized. This trend can remain popular even in the forthcoming years. Eco-friendly weddings: In recent years, millennials are turning eco-friendly, concentrating more on reusing and are encouraged by design and style. Thus the renewal of cottage industry and craft can be seen this year. Tradition and heritage is something permanent. It can never go out of trend. Moreover, sustainability is important in the present trends. This trend can become big in 2019. 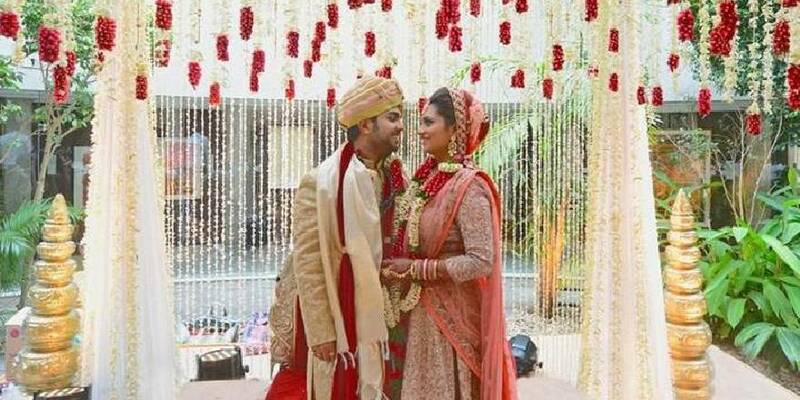 Preferment of young talent: One of the important trends in wedding décor and themes that would be seen in 2019 is preferring young and new talent for performing arts. Younger artists require a stage to shine. This trend has chances to go big in 2019. Intimate family dinner or brunch settings prior to the wedding night: Brides are always curious and wish to enjoy most personalized and finest experiences before moving out of their family. It is possible to expect a morning brunch or dinner settings in the garden with unplugged music. Silver personalized cutlery is also becoming one of the top trends in recent years. 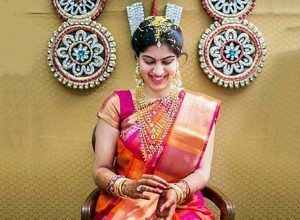 2019 is the best year where one could see high levels of elegance and personalization yet unique attempts to develop lovely experiences during the wedding affair.